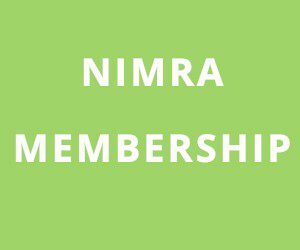 Sunday 19th June saw competitors arrive in Carlingford County Louth for the 5th round of the NIMRA championship. 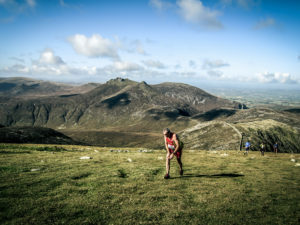 The Flagstaff Carlingford Mountain race covers the length of the Cooley peninsula measuring 11 miles and 3000ft in elevation. The race is a point to point course with competitors registering in Carlingford and transported by coach to the start line. The weather was a far cry from the blue sky’s and heat of pervious weeks as rain fell from a dark grey sky. Reports from both North and South were of low laying cloud blanketing the whole peninsula and many of the 55 competitors had their water proof gear on before they even got on the bus. The coach ride was a flurry of nervous excitement as people checked and re-checked maps and bearings. While more experienced runners told of previous outings on the course and what to look for and what to avoid. It was evident that navigation would be the key player of the day. Little time was wasted gathering everyone to the start line and as the whistle sounded the mass of runners surged down the tarmac road with some sprinting ahead to avoid congestion as the race route took a sharp right and up a narrow muddy trail which climbed through the forest. It wasn’t long before the trail deposited runners onto the mountain side and the first climb to checkpoint one on Anglesey mountain. At the first check point it was Zac Hanna and Paul McAnnespie that would dib in within 1 second of each other a minute ahead of the rest of the field. While in the ladies race it was Shileen O’Kane and Diane Wilson that were heading the charge. The race would then follow the fence line with marks the border between the North and the South to check point two and then onward to the road leading to the telecoms mast on Black mountain. At check point 3 the lead pair had opened a 4 minute lead on the chasing pack of Shane Donnelly, David Hicks, Alex Brennan and Steve Sweeney who were all in running for 3rd. Diane has opened a small 20 second gap on Shileen while Ballymena Runners Gillian Wasson followed through the cloud 2 minutes later in 3rd. A bread crumb trail of yellow painted rocks lead along the fast ridge to checkpoint 4 from which runners descended to The Windy Gap. As if the weather couldn’t get any worse the rain began to fall harder at this point and runners were thoroughly soaked through although the temperature was mild but still posed a risk to those people moving slower. No change to the lead groups at the check point but with a long section still to cover it was all to play for. From The Windy Gap it was straight up in the direction of Foxes Rock through a sea of Fern plants tall enough to loose a small child in. Competitors had to pay particularly close attention to avoid the mass of slippery boulders concealed by the undergrowth. After a steep hands and feet scramble racers climbed above the line of the forest and were able to traverse their way along the side of the mountain in a south easterly direction. This ground was particularly rough, both rocky and covered in undergrowth it made progress slow and the poor visibility continued to disorientate. Navigating to the right point from which to turn left and climb to check point 6 on Slieve Foye was critical to ensure little time was wasted. It was at this point that the lead pair of Hanna and Mc Annespie began to separate, as Zac made a navigational error which would see him loose too much time and fall from contention. But this was not an Isolated incident as competitors throughout the field struggled to locate the check point in the thick fog. 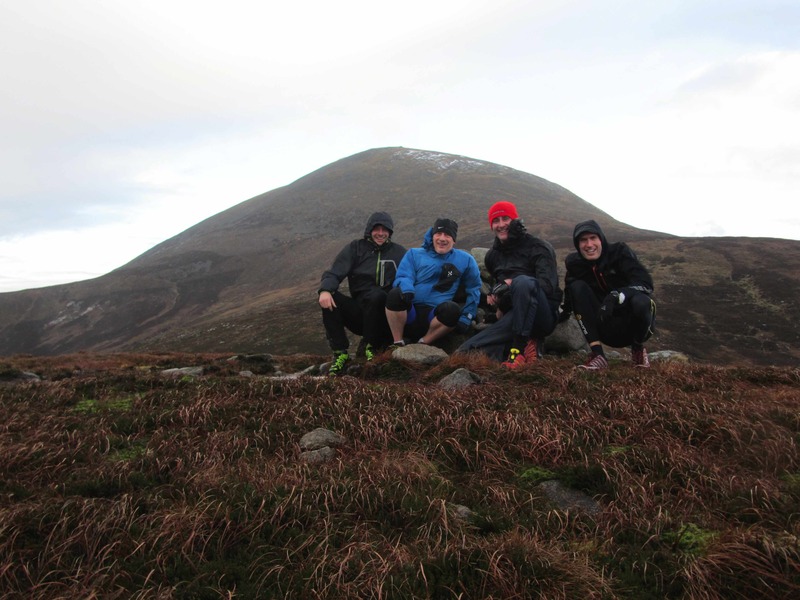 Donnelly and Hicks were second and third at the top of Slieve Foye but Brennan and Sweeny were not far behind and a good line off the mountain could see anyone of them standing on the podium. As it was the descent of Foye proved to be a deciding factor for many peoples races as positions changes for a number of competitors. Paul Mc Annespie (Armagh AC) however had no such troubles breaking the tap in a time of 1.55.44 claiming first place. It was Shane Donnelly (Acorns AC) who stopped the clock in 2.04.38 who picked up second, while David Hicks (Newcastle AC) was rewarded for a well run race by claiming 3rd with 2.07.08. The next two minutes saw a wave of runners thundering down the road and into Carlingford town square where the finish line was located. Ladies winner Diane Wilson (Dromore AC) being one of them; running 2.09.29 (6th overall). Hot on her heals was Shileen O’Kane (Lagan Valley AC) taking second in 2.10.57 (10th overall). The ladies podium was made complete by Gillian Wasson (Ballymena Runners) who ran 2.34.30. It is worth commending all those that completed the course and even those that didn’t. A formidable challenge on any day it was made considerably harder given the conditions so well done to all. And must we not forget the organisers and marshals that did not have the luxury of running to keep warm while they stood cold and wet on the mountain tops for hours so Thank You very much. Big thanks as well for the sandwiches and tea which helped to revive many a sodden and weary being. Final thanks go to the Foye community centre for providing a dry space for prize giving and hope your cow did his business in the right square!